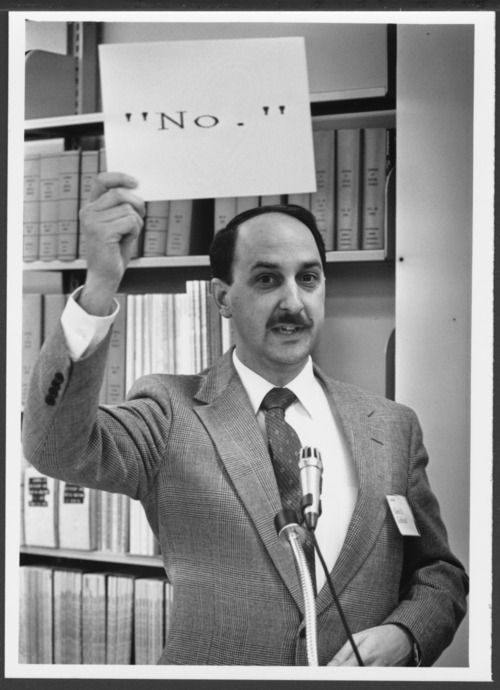 This photograph shows Glen Gabbard, M.D., speaking at the 1989 Author's Reception at the Menninger Clinic in Topeka, Kansas. Dr. Gabbard was director of the Menninger Hospital in Topeka, Kansas, from 1989 to 1994. He authored and edited many books and articles on the theory and practice of psychiatry and psychoanalysis.